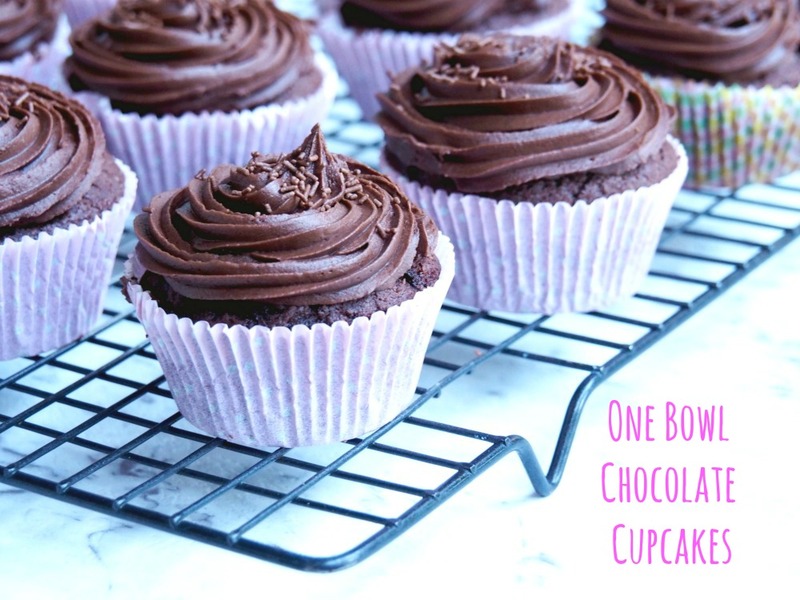 Everyone is going to love these chocolate cupcakes, not least because they are quick, easy and totally delicious. 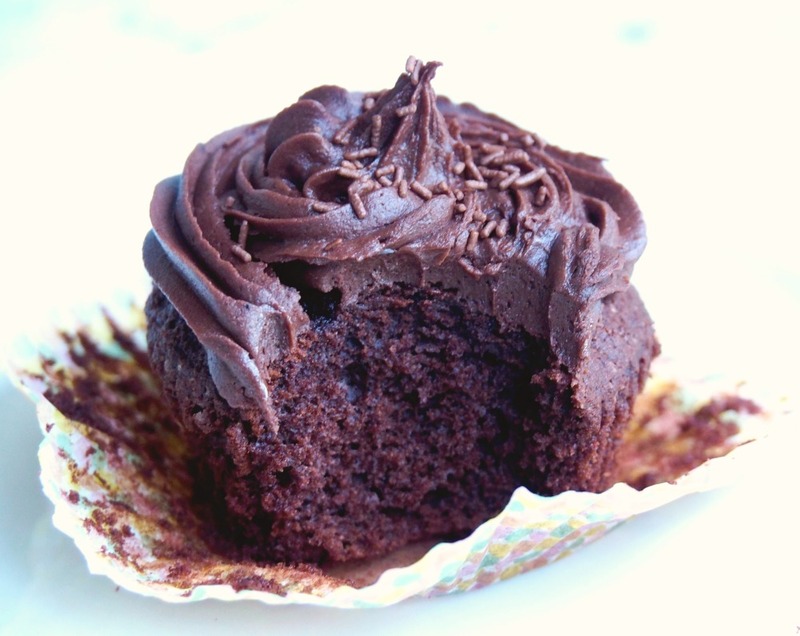 I love a good one bowl recipe and this one for chocolate cupcakes is no exception. 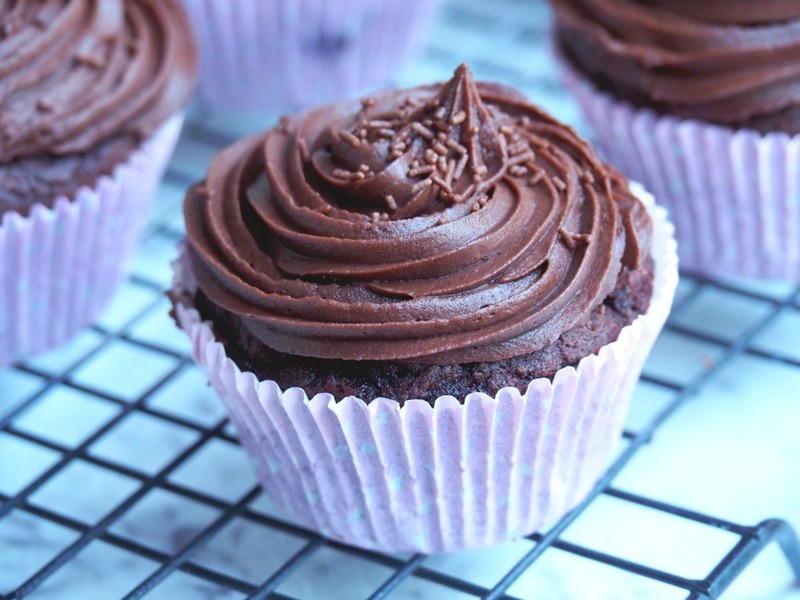 Whether you’re using the Thermomix, a stand mixer or a bowl and spoon, you can have these cupcakes from bowl to table in just over 20 minutes. This pleases me greatly because I have never been a very patient person. I hate waiting for people or things – I think it’s all part of my OCS (Only Child Syndrome.) That said, the older I get, the better I am at waiting, although I did stand in front of the oven willing these cupcakes to cook! Are you a patient person? Do you have a favourite one bowl recipe? Preheat oven to 190C/170C fan-forced. Line a 12 hole muffin tray with paper cases. Put all the ingredients in a bowl and beat by mixer or by hand until smooth and creamy – this should about 3 minutes. Fill the cases about two-thirds full with the mixture and bake for 15-20 minutes, until spongy to the touch. 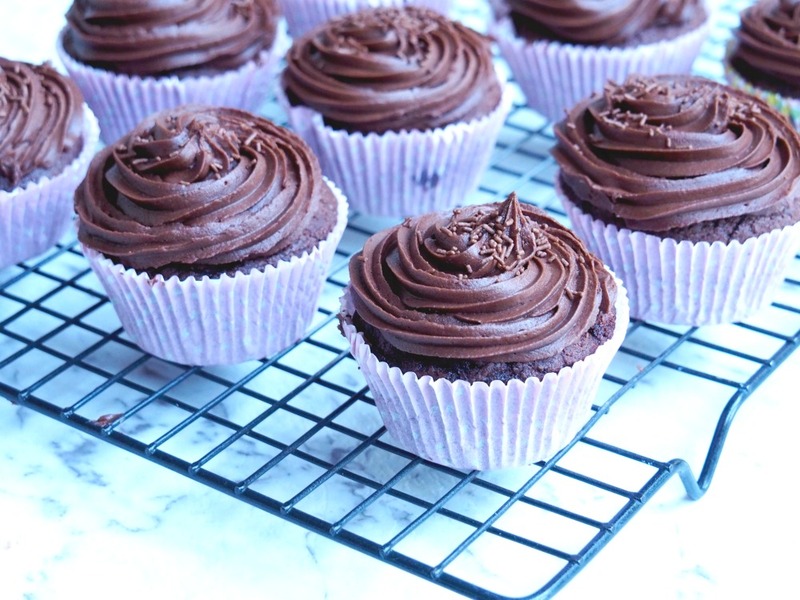 Serve plain sprinkled with icing sugar or try the chocolate buttercream. Put all the ingredients in TM bowl and mix for 30 seconds on speed 5, scraping down sides of bowl half way through. 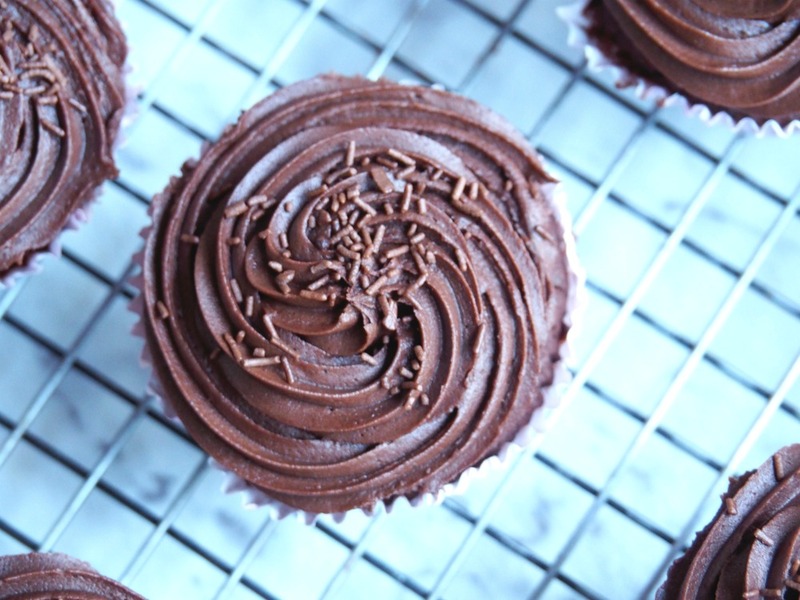 Serve plain sprinkled with icing sugar or try my favourite chocolate buttercream. Keeps 5 days in an airtight container. Freeze for up to 6 months.